Oh what a happy moment! It's finally here. 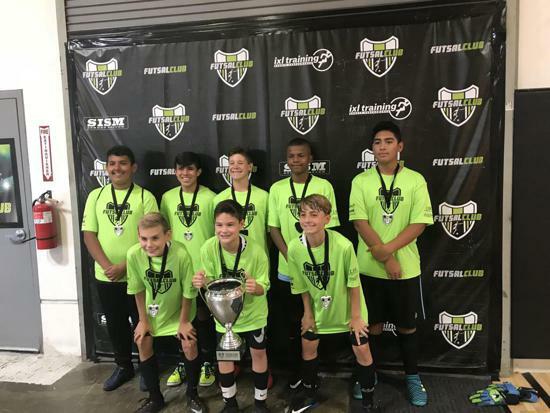 SWSC B04 took first place in their bracket at the SWSC Spring Madness 2019! The Champions were awarded with the team trophy, medals, and the Championship rings that the players can wear so proudly. This was a long and hard journey after taking finalist position at SWSC competitions. First place is so well deserved! 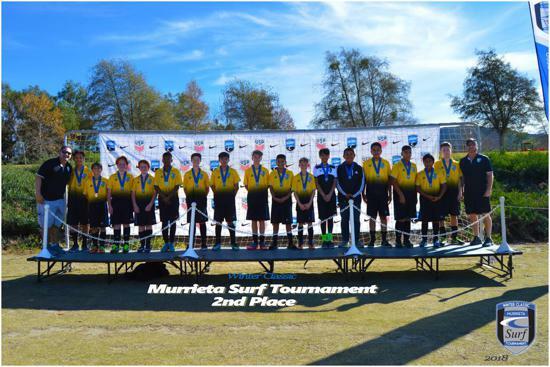 The team was undefeated during the tournament and joyfully celebrated their victory. Coach Adam said "One of my proudest team accomplishments!!!!!" SWSC Players train hard and study well. During the Great Oak soccer banquet Jacob, Justen, and Alex were presented awards. Jacob and Justen received the awards for the highest GPA and Alex got the award for "The Goal of The Season"! We are so proud of the boys! Fantastic soccer skills and good grades are a perfect combo for being recruited onto a college team. And that's the GOAL! Play the sport you love and get the education that can allow you to have a stable future. Ancient Greeks believed that in order to become a fully accomplished human being, you need to exercise your mind as much as your body. We would like to Congratulate the team, all the players, the coach, and all the parents, with WINNING THE LEAGUE!!!!!!! Amazing team effort, hard work, and undeniable skills brought in another Championship! Thank you all: coach Adam for such perfect season and great coaching, Heidy for amazing communication and organization, all the parents for your dedication to the sport, the team, and the kids, and most definitely thank you to all the players for always working hard on perfecting your game and skills, for striving to succeed, for loving the sport. 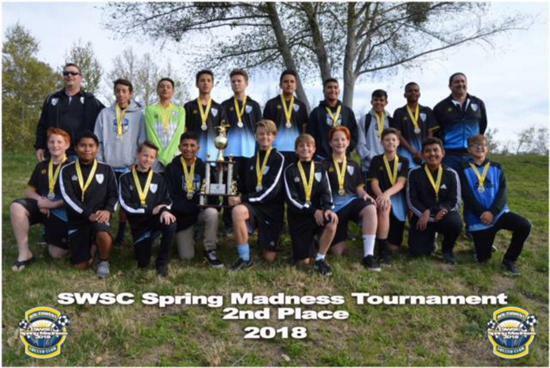 SWSC B04 Took Yet Another Trophy! San Diego Premier Cup CHAMPIONS!!!!!!!! 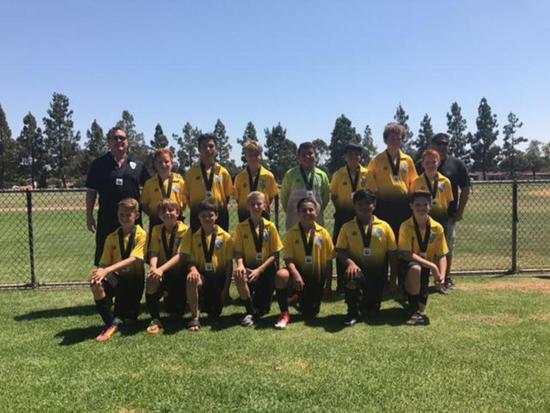 SWSC B04 SD United Finalists!!!!!!! West Ham United National Camp. Where the Champions are Born! "The West Ham Camp was held in Rome, Georgia at Darlington Academy, a gorgeous campus. Zane arrived on Friday and received two kits and a soccer ball. The boys immediately began their training. 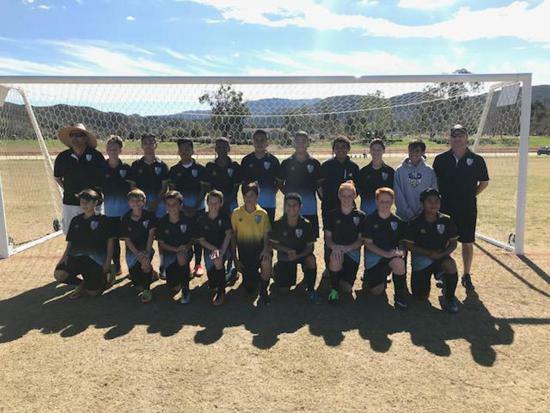 Zane was lucky enough to have been placed with the coach that held the ID camp here in Temecula. They were grouped by birth date and Zane was placed with the older boys ages 14-16. They practiced twice a day for 2 hours at a time working on different skills and being instructed by coaches with extensive backgrounds. The training was intense. They trained both indoors as well as outdoors in their state of the art facility. They also had two hours where the kids got to just have fun and swim. The camp gave him an idea of what it is like to be at a soccer academy. It truly was an honor to have been chosen. We are in anticipation of whether he is chosen for England. Being that he was placed in a group where he was the youngest, he is not hopeful but we will see as it will be really great opportunity for him as he wants to go pro one day. The Darlington Academy has produced 12 pro soccer players. Pretty impressive".